If Earth suddenly stopped spinning, mayhem would ensue. What would happen to the objects on the surface? 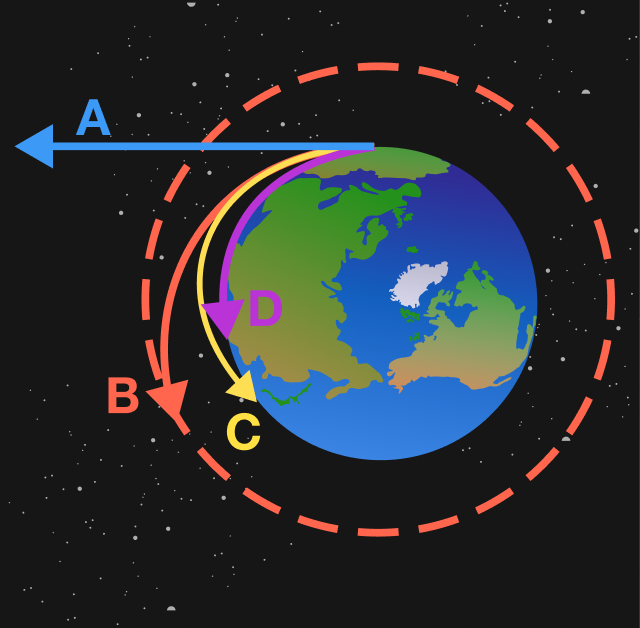 For simplicity, assume that the objects start near the equator. The orange points are the midpoints of the sides of a \(6\times 6\) square. What is the area of the portion shaded blue?